MCC Award Nominations Open Now! Is there someone in your community or congregation who needs to be recognized by Metropolitan Community Churches for their work? Is there a church that ought to be recognized for their discipleship? Is there an aligned organization that has been an outstanding partner to Metropolitan Community Churches, your local church, community or country? Metropolitan Community Churches is seeking nominations for all awards below. Start thinking about who you will nominate! Nomination forms will ask for the name of the recipient and the reasons you are nominating them. The nomination form is open now and will be open through 3 December 2018. This award is given to honor a church that embodies and models MCC’s commitment to diversity and inclusion. The Phoenix Award is for those who have revived a church or ministry. This award is named for a sermon still preached by Rev. Elder Freda Smith, the first woman ordained in MCC and elected an Elder. It is given to persons who have a passion for Evangelism, and for sharing the vision and message of MCC in creative and innovative ways. This award is given to a church technology minister/ministry or a ministry group that demonstrates excellence in the use of technology to further the mission of the church or group. 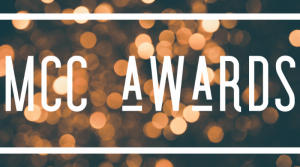 Named for Bob Crocker who led music at MCC San Francisco and at General Conference for many years, this award celebrates excellence in music ministry in a local or global context. This award is given to an outstanding Interim Pastor. This award recognizes a person(s) and/or ministry that embodies MCC’s vision and values and shows promise of growth and success. This award is named after a pioneering lay leader, who, among many roles and offices she held, was a founder and mover of the pension plan for clergy in the US. This award honors outstanding service to MCC as a Lay Leader. Named after Rev. Elder John H. Hose, one of the first MCC clergy who became part of the first Board of Elders, served as Treasurer of MCC, and who contributed a great deal to MCC’s Statement of Faith, this award honors outstanding service to MCC as Clergy. This award is given to a Network for excellent service to its local churches and leaders. This award is given to a long serving Lay Delegate. This award is named for Carlos Chavez and Jennifer Justice, whose commitment to Young Adult leadership and inclusion in MCC has changed the denomination forever. The awards are given to young adults who demonstrate MCC’s values, and who show promise of future leadership in MCC. This award is given to those who courageously live out the gospel message. This award recognized persons elevating the voice of queer theology. This award is given to parents and or family members who unconditionally love their children. This award recognizes leadership across ecumenical ministries. This award is given in honor of outstanding contributions to the work of human rights including the connection of faith and human rights.